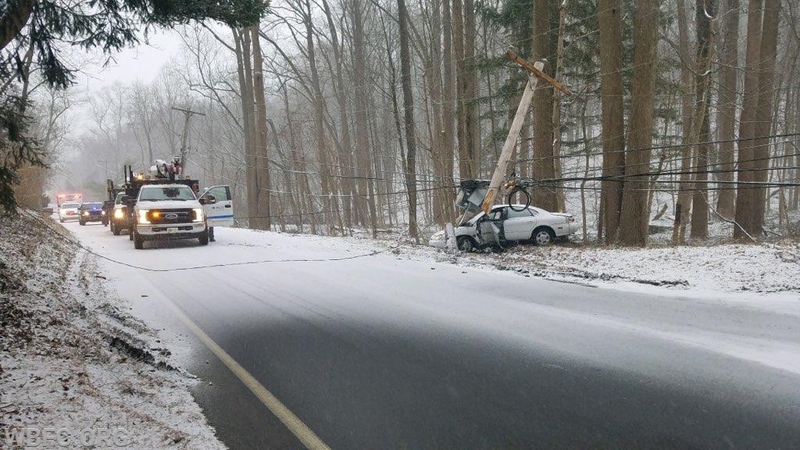 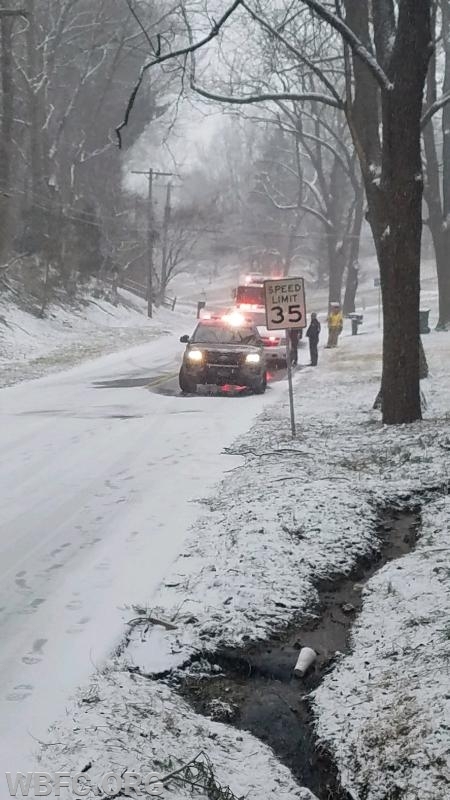 Wednesday morning brought snow and slick conditions on the roads within the area, early that morning the WBFC volunteers were dispatched with GFAC EMS to Sherwood Drive for an accident. 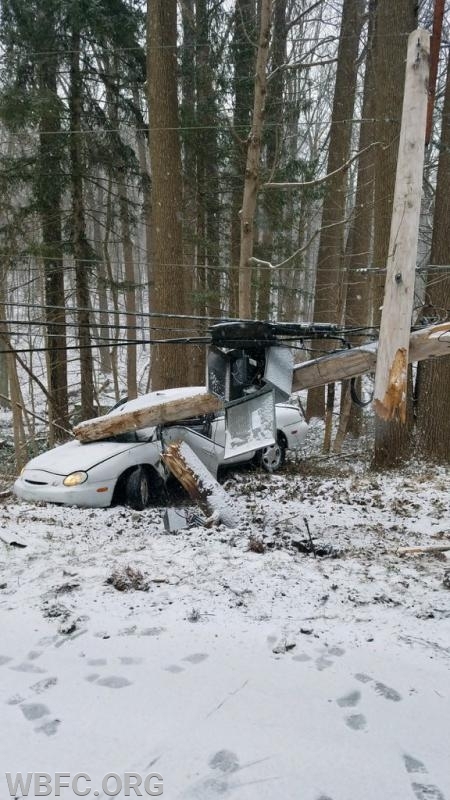 Shortly after dispatch the incident was upgraded to an accident with entrapment. 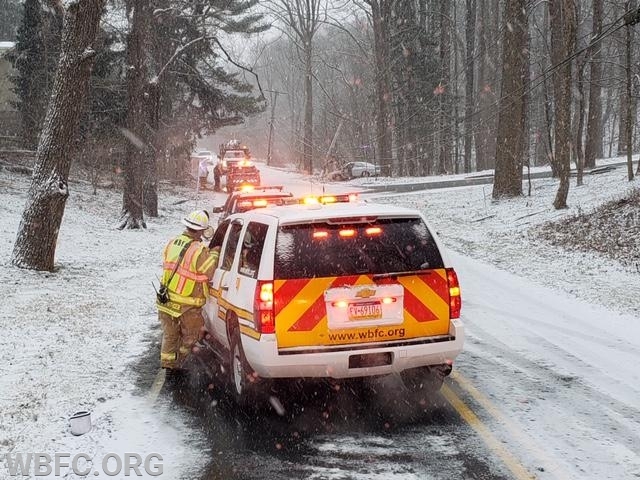 As the units responding encountered slippery road conditions we arrived to find the occupant out of the vehicle. 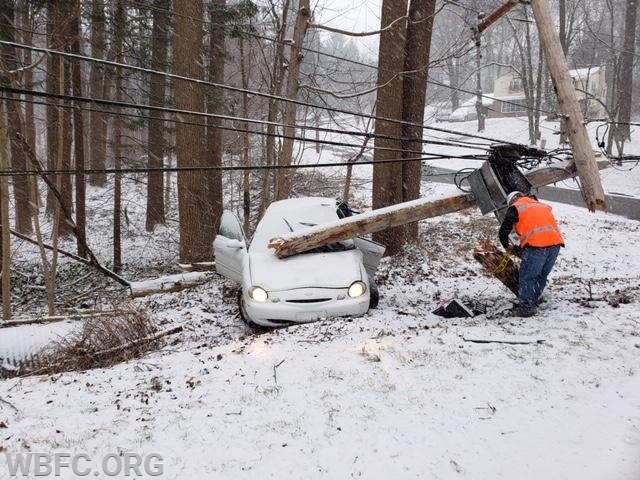 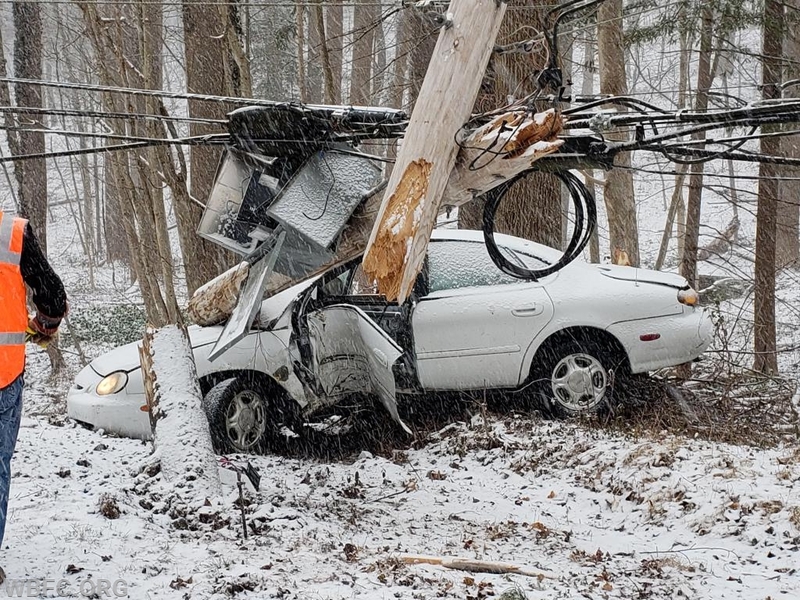 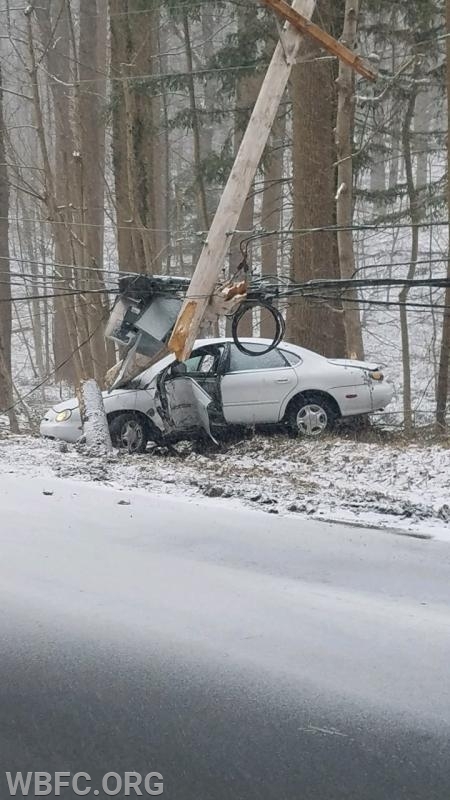 Crews closed the roadway with the assistance of PSPE and West Bradford Twp road crews, until PECO could make sure the area was safe for travel around the wires and the pole could be replaced. 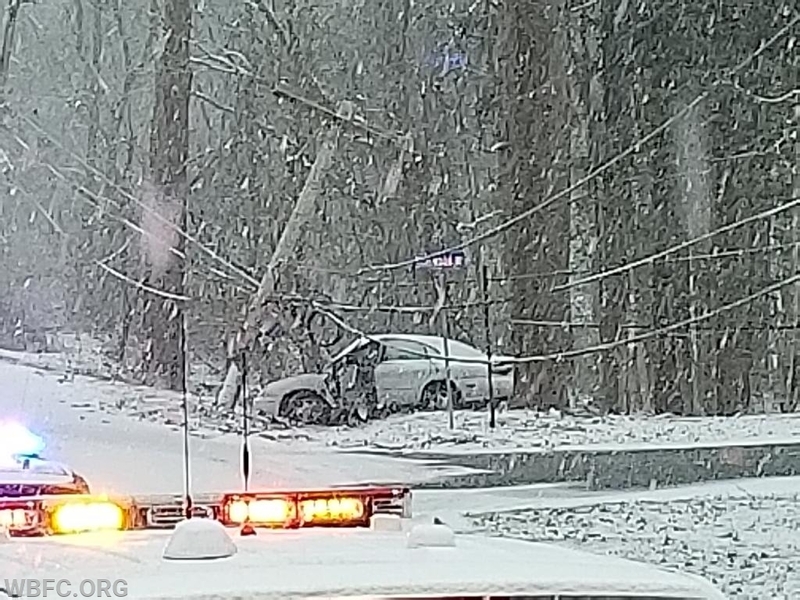 As a reminder, please consider all wires to be energized, never approach a vehicle with wires down around it and if you are involved and wires are down please remain in the vehicle until responders and utility crews arrive to make sure the area is safe and they have the opportunity to de-energize the wires.